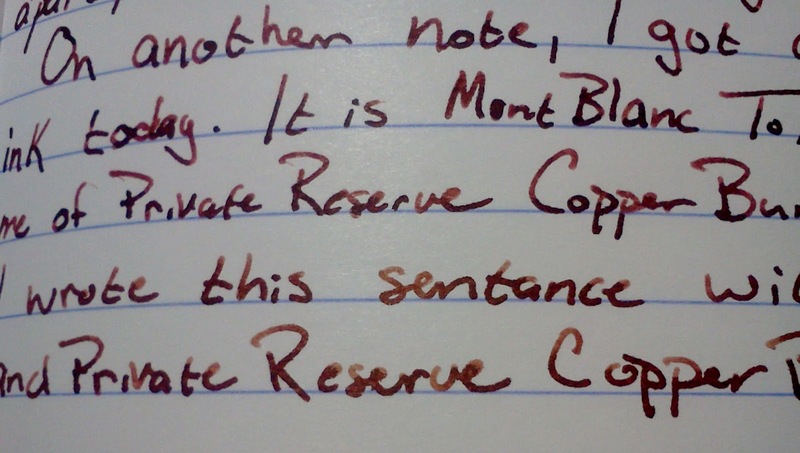 I have been a fan of Private Reserve Copper Burst for a while. 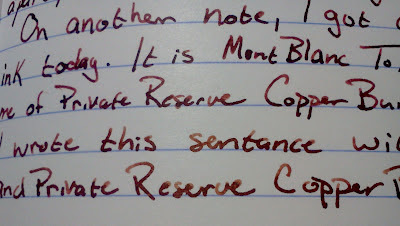 I had held off on Montblanc's Toffee Brown because it seemed so similar. I tried to find review that compared one to the other to no avail. Finally, I found Toffee Brown on sale, so I bought a bottle. Here is what I found. This is with a different camera... still hard to tell. From this angle and light... 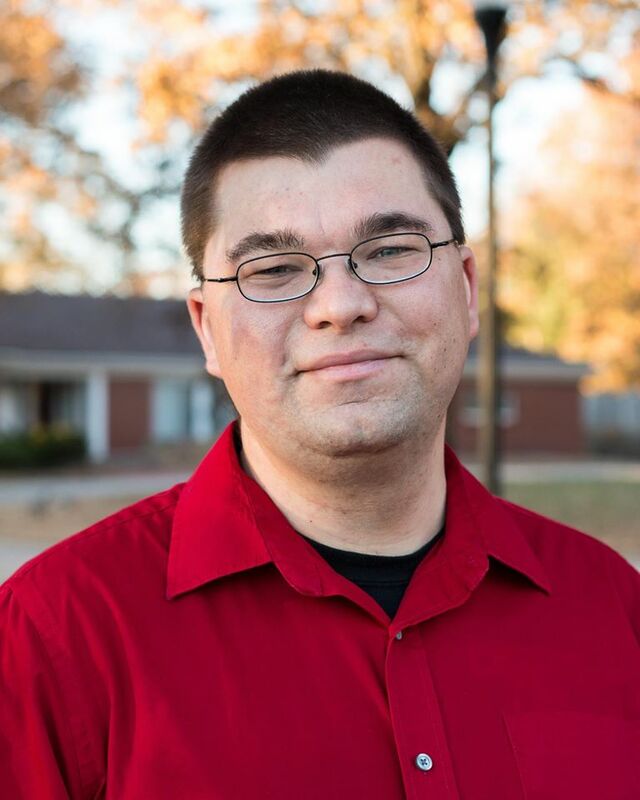 I can start seeing a little bit of a difference. 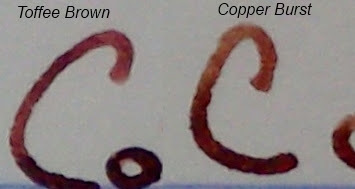 The top 3 lines are MB Toffee Brown, the Bottom 2 lines are PR Copper Burst. I scanned in the sample, cropped out a C from each color and enlarged. The Toffee Brown seems more saturated (but that could be the pen) and a little bit more.... purple. 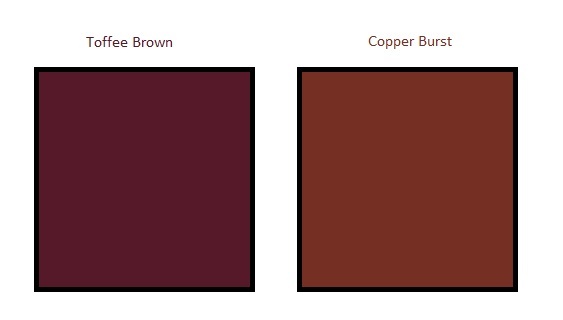 With the above picture, I took samples of the lightest and darkest for each sample, compared them, found something in between and dumped the color. I think it is somewhat representative of the difference.... well... maybe it slightly exaggerates the difference. 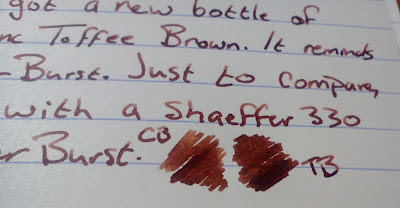 It is not spot on of the color.... there is so much shading going on in both inks. I wouldn't necessarily say TB has more red. 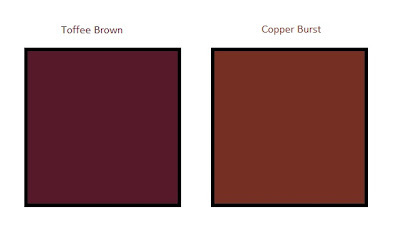 It does have a slight hue to it... and CB is just more brown... I guess. I like both inks a lot. They are slightly different, but I don't know I would be able to tell the difference in 5 years if I went back and read my journal, trying to differentiate.